New siding installation is a great investment. Unlike exterior wall paint, siding is a more permanent and long-term solution that doesn’t require reapplication. It even doubles as a weather barrier for the exterior walls. Like the roof, siding is also one of the first things people notice about your house. It’s vital that your roof and siding complement each other to establish a consistent aesthetic. A1 Siding and Roofing shares how to accomplish this in this post. Whenever you have to choose a color scheme for your home, consider its architectural style and use that to guide you to the right choice. Classic styles, such as Colonial homes, tend to have muted yet luminous colors such as cream, blue-gray and pale or golden yellow. These homes typically have color contrasts everywhere, such as a darker-colored roof contrasting with lighter-colored siding or vice versa. As for modern and contemporary homes, it’s all about uniformity. The siding and roof may not necessarily have the same color scheme, but they fall in the same range or tone. Since many homes need some diversity in terms of color, we recommend vinyl siding over wood since it has an extensive color palette and you’ll have more options to choose from. There’s a fine line between standing out from your neighbors and looking out of place. Always take into consideration the culture of your local community and the general color schemes of the homes. You don’t necessarily want to imitate the color of your next door neighbor’s siding, though. Instead, use it as a guide to help you find a complementary color that stands out but still belongs within your neighborhood. Finally, don’t hesitate to ask your local siding contractor for help in choosing the right color. While the choice is ultimately yours, it doesn’t hurt to ask a third party for their opinion on how the colors will look on your home. 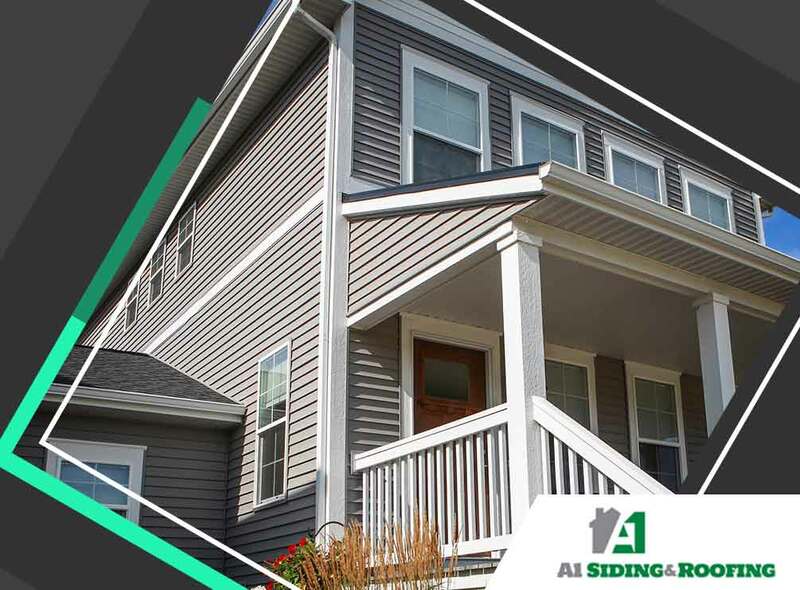 At A1 Siding and Roofing, we’ll help you pick the siding and color scheme that best fits your home and allows it to stand out while still fitting in. Call us today at (603) 684-2444 for a free estimate on our roofing services. We install siding in Manchester.